Inserts: G.T.Rigden(Vice-chairman), H.R.Geddes(Chairman), N.Taylor(Assistant honorary secretary). 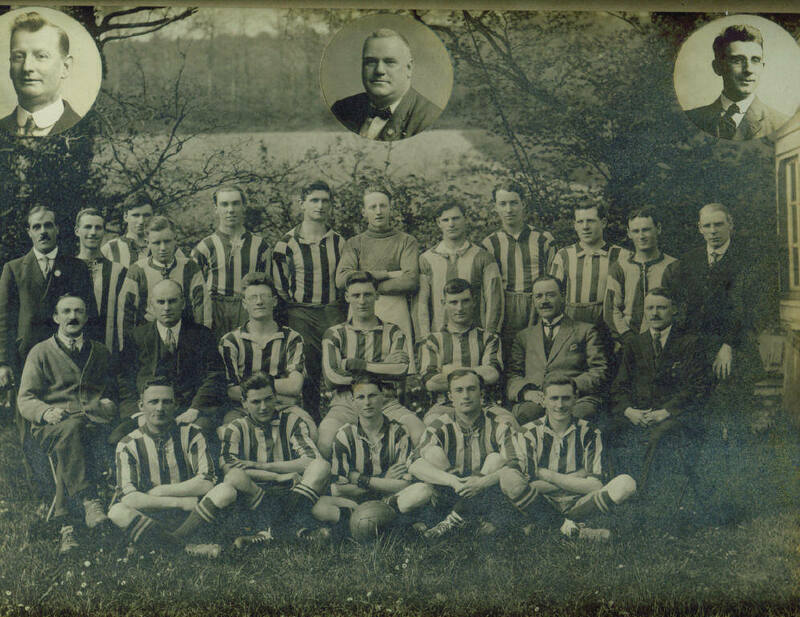 Back Row: H.Brown(Committee), W.Wells, H.C.Osborne, G.Knight, P.J.Couzens, R.E.Strickland(Captain), R.J.Holmans, R.H.Standen, F.J.Tapley, W.Kingsman, G.E.Howard, J.Davis(Committee). Middle Row: W.Newman(Trainer), F.G.Tapley(Honorary secretary), S.G.Nowers, W.Osborne, G.Edwards, E.J.Prescott(Honorary treasurer), C.Buzan(Assistant trainer). Front Row: A.McCormack, B.Williams, G.Sanderson, D.Pyatt, H.Newis.